White has just played 22. f6! My opponent, being 2000 rated, played quite well. 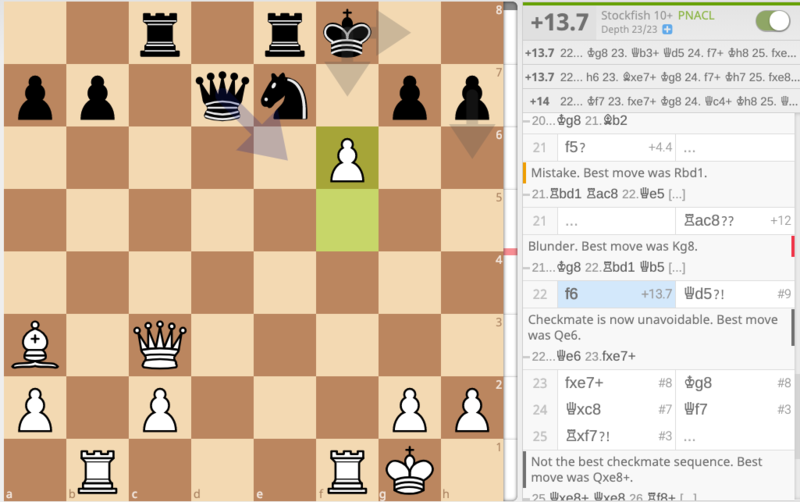 He missed punishing my blunder at around move 14. Currently, my white opening repertoire involves the Bishop’s opening (1. e4 e5 2. Bc4), with a view towards playing f4 whenever possible to transpose into Vienna/King’s Gambit. This entry was posted in maths tuition and tagged chess, tactics. Bookmark the permalink.